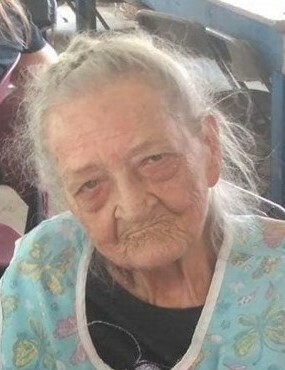 Nora Mae Allgood, 86 of McDermott died Thursday, April 4, 2019 at Heartland of Portsmouth. She was born August 2, 1932 in Firebrick, Kentucky to the late Manuel and Naomi Matthews Smith. She was a homemaker. Along with her parents, she was preceded in death by her husband, Willie Allgood who she married in 1947, 3 sons; William Emmanuel Allgood, James Edward Allgood, and Robert Allgood, 2 grandchildren; Jerry Musser and John Peacock, 4 brothers; Chester Smith, Carl Smith, Joe Smith, and Russell Smith and 4 sisters; Imogene Timberlake, Avanelle Chaffin, Louise Copley, and Edna Blair. Nora is survived by 6 daughters; Kathryn Musser, Mary Hodge, Susie Houston, Stella Burns, Christine Thomas, and Angela Hodge, 2 sons; Roger Allgood and Jimmy Allgood, 48 grandchildren, several great and great great grandchildren, along with several nieces and nephews. Funeral services will be 3:00 PM Sunday, April 7, 2019 at the Roger W. Davis Funeral Home in West Portsmouth with Kenneth Carver officiating. Friends may call at the funeral home starting at 1:00 PM. Condolences may be sent to www.rogerwdavisfuneralhome.com.